← Discovery Bicycle Tours has been selected as a 2013 Silver Magellan Award Winner in the Tour Operators Overall category! 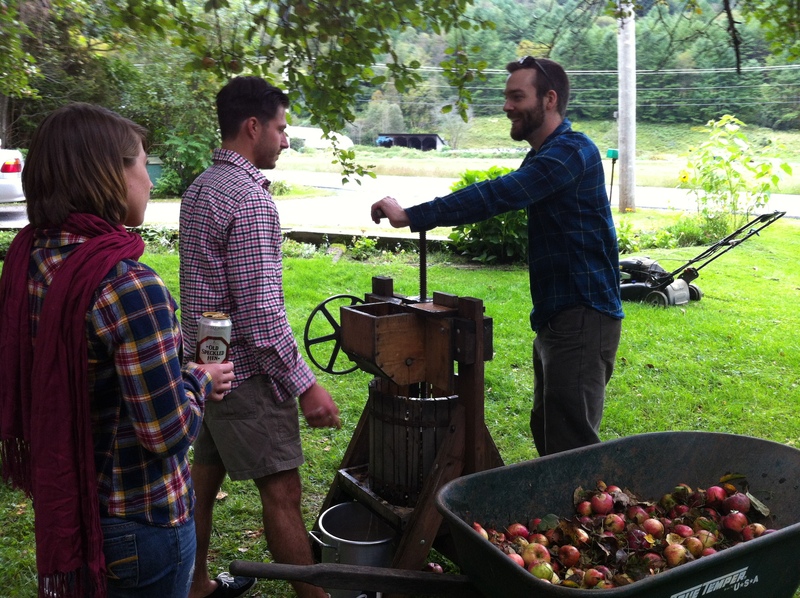 We have had a wonderful abundance of apples this year, and recently shared a post about all of the micro-breweries that we have in Vermont. There is a connection here…and that would be hard cider! Larry and I recently made some delicious apple cider and son Geoffrey decided he wanted to concoct some hard cider as well. 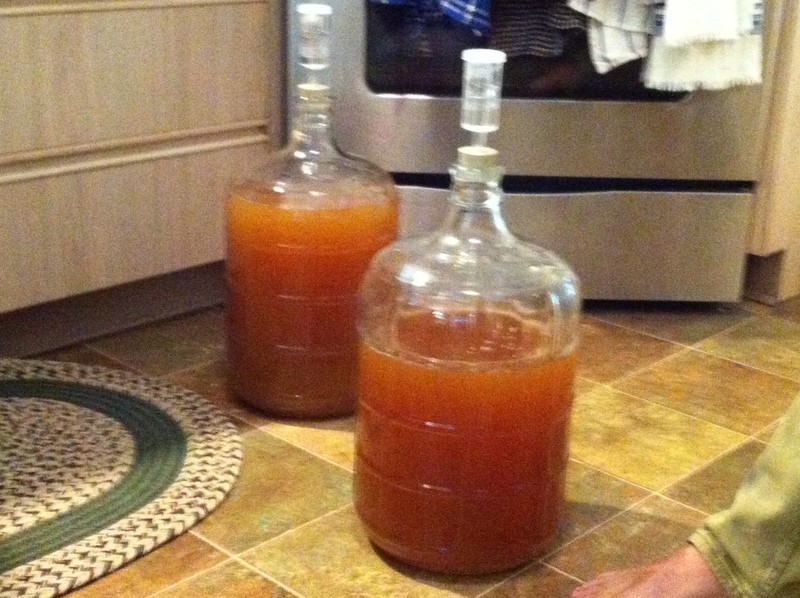 Apparently, making hard cider from apple cider can be quite simple. Basically, you add yeast to the cider and this changes the sugar to alcohol. This reaction must take place without any air because if air comes in contact with the juice, the sugar will very quickly change from alcohol to vinegar. 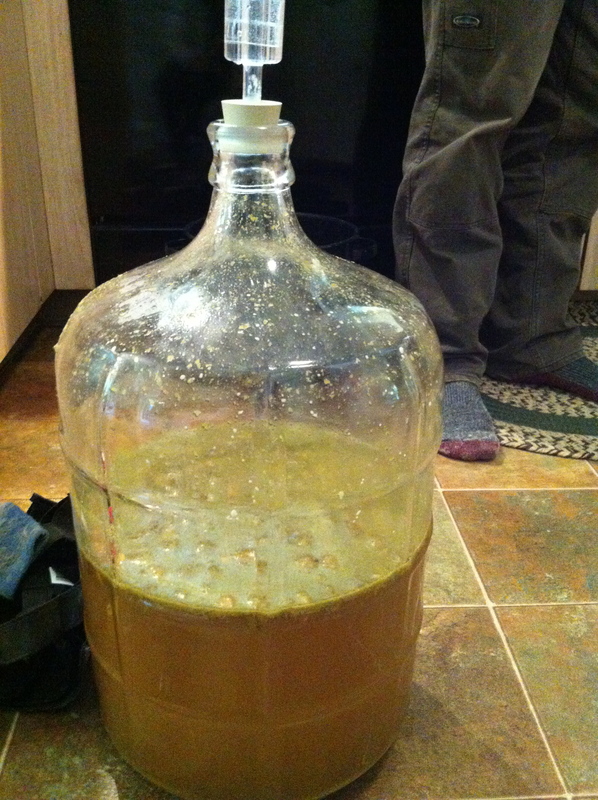 The only equipment you really need is a jug to house the cider and a simple airlock which allows the gas (CO2) to escape. Sealing off the container also keeps bacteria from getting in. Most brewing supply stores carries airlock devices. And please make sure all equipment is sanitized! 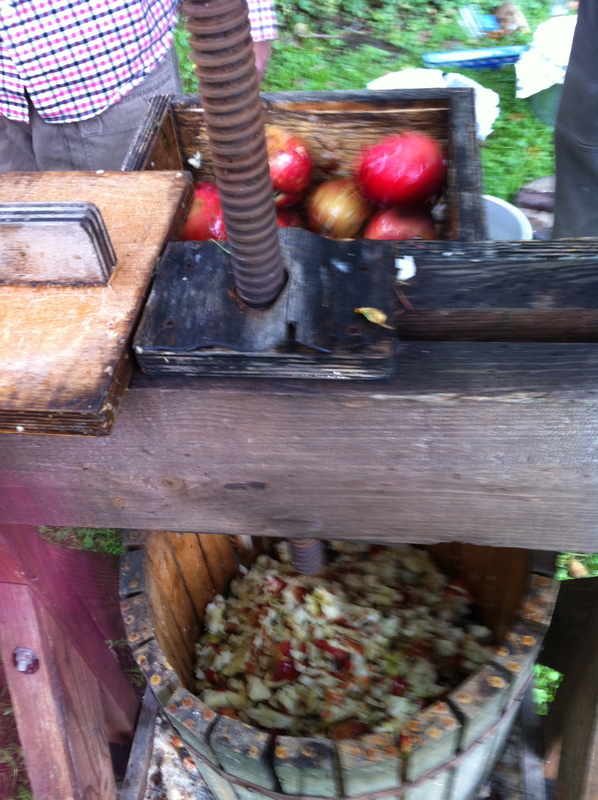 *Get some fresh apple cider. *You can add sugar or honey if you’d like to increase the alcohol content. Otherwise just add champagne yeast. *Find a resting place. Check to see what temperature is preferred by the yeast you’re using. Fermentation will take approximately five to ten days depending on the quantity of yeast used as well as temperature and aeration. When the bubbles start slowing down, you can have your taste test! In Geoffrey’s case, he had also been given some fresh hops that his friends had grown, so he experimented with some hops in the cider as well. Looking forward to some taste tests coming up! A little disclaimer: we’re sure this whole process can be much more scientific and complicated…this is the ‘down and dirty’ version! This entry was posted in Fall in Vermont and tagged Apple, Beverages, bicycle, bicycle tours, bicycling, bike, bike touring, biking, Brewing, Cider, cycling, Discovery Bicycle Tours, fall foliage, Food, food & drink, hard apple cider, inn-to-inn bicycle tours, OUTDOOR ADVENTURE, OUTDOOR DINING, Sugar, vermont, weekend getaways, Yeast. Bookmark the permalink.